Last year ACREX India saw 30,000 visitors and 400 exhibitors from 25 countries gather in Pargati Maidan, New Delhi for the largest show on Air Conditioning, Ventilation, Refrigeration and Building Services. Not only did the trade show feature innovative new products from exhibitors, but eWorkshops and interactive panel discussions were available for all attendees. ISHRAE (Indian Society of Heating, Refrigeration and Air Conditioning Engineers) puts on the show every year while also organizing other international exhibitions, and seminars throughout the country. This year Bangalore will be hosting ACREX India 2015. 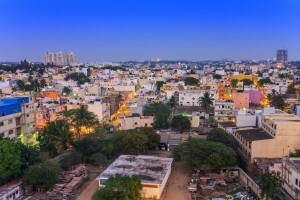 Bangalore is India's third largest city and has a rapidly evolving infrastructure, where the HVAC/R and Building Services Industry is experiencing innovative changes. The venue that will hold the show is India's only LEED Certified Green Exhibition Centre: The Bangalore International Exhibition Centre (BIEC). The theme of ACREX India 2015 is "Less Energy = More Life" to model that excessive energy is cause by global warming and climate change. Setra is excited to be among the hundreds of exhibitors featured at ACREX India 2015. 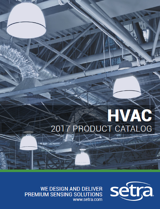 Come visit us at Booth #322 in the Refrigeration & Cold Chain Pavilion (Hall 2B), where we'll be featuring some of our latest HVAC solutions. We can't wait to see all the other exhibitors from around the world. Can't make it to ACREX India 2015? CLICK HERE to learn more about workshops, exhibitors and featured products.